Yeah, the preview board I saw might have been wrong. Ooo, I'm going to need tht Elena! Just saw these on FB. Might need the lumiere! 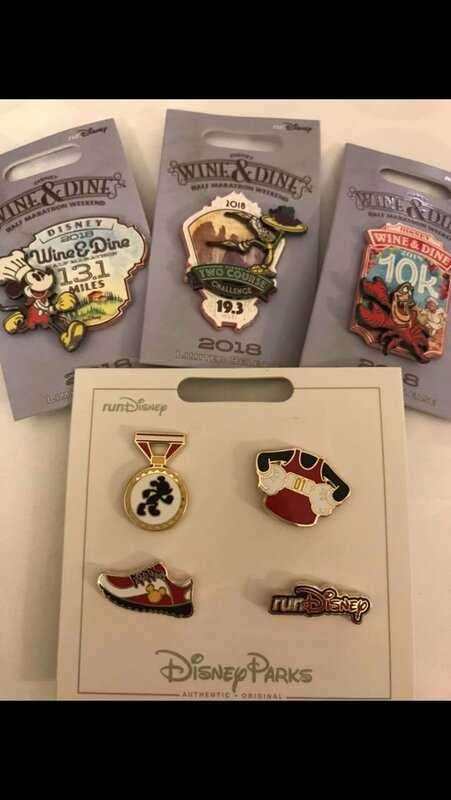 Folks on runDisney run were saying the pins were going fast, some even sold out today and yesterday was the first day of the expo! Evidently a lot of the Wine and dine merch was going fast. Oh how did I miss this post, that would be awesome! I'll PM you. firechief18 and Jack Skellington like this. Turns out if you place an order the next morning and are really nice (and cheeky) on customer service chat, they refund the shipping charges for you for the second order Gotta love Disney! Disneychildwithin, cadien, Kerri780 and 3 others like this. Not a new new release but these are in Disney stores now. The one I was at the morning only got 10 in. Sorry to de-rail slightly but I'm not sure what thread to ask this on, will/when will there be a preview for 2019? Really curious and excited to see there will be! Hey guys not sure if anyone knows about these yet but today at the Disney Store they started selling these two holiday pins for $5! Free if you have a Disney Visa Card! They are super cute! Yes they are! They are super cool and such a steal! Thumper and Oswald have surfaced! Photo by Tracy Wong on Facebook. Each pin has a postcard. So this shows the postcard with the smaller pin attached. pincrazy, tiggeriffic and krand1276 like this. I feel sorry for us Americans. Our pins are so lame compared to the awesome pins overseas. raikipins and watzshakinbacon like this. Same with the popcorn buckets! WDW and DLR need to get on level and bring me the awesome Donald and Daisy Donut popcorn buckets. a4matte and momin.ator like this. 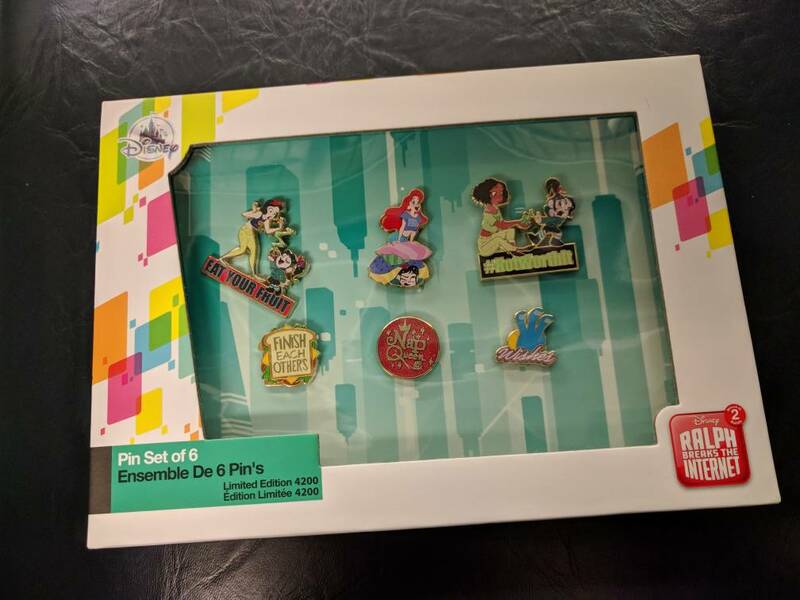 New -- Magical Moments of Disney Pins Expansion Collection from Bradford Exchange. Issue One, Fun and Fancy Free, The Many Adventures of Winnie The Pooh, The Nightmare Before Christmas, Lilo and Stitch. Before long, your collection will continue with Issue Two, Toy Story, Monsters Inc., Finding Nemo, Cars. Soon your collection will continue with Issue Three, Toy Story 2, Cars 2, Brave, Finding Dory and additional sets of pins, each issue to arrive separately. I can't get the photos to transfer but here is the link. Hi! I'm going to get the FIRST Set only. If anyone wants the Fun & Fancy Free, Nightmare or Stitch ones, private message me here. They would be $15 each, plus shipping. They're starting to bring some of them here though! Oh no! I wish they previewed the entire collection like they did with the first set. I'm thinking there is a high likelihood that something I collect is coming in later sets (Zootopia, Inside Out, and/or Robin Hood).